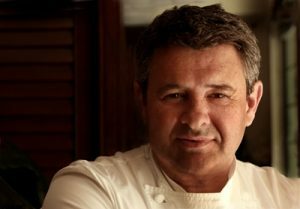 This May, Hotel Café Royal, London’s first modern grand hotel, will launch a brand new restaurant with internationally renowned chef Laurent Tourondel. The new restaurant marks a return to London for the French-born chef, and the first time he has opened a venue in Europe. With restaurants across the globe, Tourondel is best known in America where he has restaurants in New York, Miami and Charlotte in North Carolina. Further afield, Tourondel owns restaurants in Hong Kong, Kazakhstan and the Caribbean. Tourondel cut his teeth training in France before moving to London, where he spent time in the kitchen at Boodles. A truly international chef, he has spent years working in cities such as Moscow and New York, and travelling through South America, Asia and Africa to hone his craft. The new opening follows previous residencies at Hotel Café Royal by world-class chefs including Albert Adria, the Roca brothers, Paco Roncero and others. 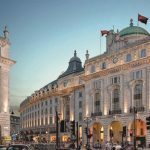 With The Set hotels simultaneously launching this new restaurant in London and opening the iconic Lutetia hotel in Paris, the group continues to restore iconic buildings and create environments authentic to their locations. Furthering the group’s culinary credentials, Taiko by Schilo at the Conservatorium continues to be one of Amsterdam’s most admired and popular restaurants and three Michelin starred chef Gérald Passédat has been chosen to helm Lutetia’s famed Brasserie, opening later in the year. International influences are evident across the new menu at the new restaurant at Hotel Café Royal, where Tourondel has combined his experiences to open a restaurant unlike anything he has done before. The concept will blend the chef’s culinary ethos with the hotel’s dedication to creating an address where guests feel they belong, and always wish to return. Designed by contemporary Italian architect and designer Piero Lissoni, the new restaurant is located on the first floor of Hotel Café Royal, where an extensive refurbishment has created an entirely new space. Lissoni’s previous global projects are varied and extend to yachts, residential properties and luxury hotels including the Conservatorium in Amsterdam, owned by The Set hotels. In addition to his architectural work, Lissoni is also lauded for his extensive work in furniture design, having worked for companies such as Boffi, Cassina, B&B Italia and Flos. Working closely with the hotel team, Lissoni has transformed not only the restaurant space but the main entrance to the hotel as well. The transformation of this historical space, part of the original Café Royal built in 1926 is a sensitive yet striking one, a hallmark of Lissoni’s work. Hotel guests and visitors to the new restaurant arriving through the Air Street entrance will experience a grand lobby where guests and visitors will convene, converse and celebrate. Inspired by the lobbies of the world’s Palace hotels, the new reception space at Hotel Café Royal will be double height and one of the largest in London, featuring a Murano glass chandelier made by the legendary Italian glassmaker Vistosi and Poltrona Frau leather furniture as just two of its many design features. Above this lobby, Lissoni’s work continues into the 110 cover restaurant. A personal passion for food and kitchen design has led the architect to work with a number of chefs and now Hotel Café Royal and Laurent Tourondel. An open kitchen, grill and sushi bar will offer relaxed yet refined all-day dining and booth seating and lighting by Lissoni will create an informal but sophisticated atmosphere. As Lissoni has said of the project “On this project the word ‘impossible’ was forbidden to use”. Also joining the new restaurant team, as General Manager, is Dinos Tagkalos, who previously successfully launched the Henrietta Hotel in Covent Garden where he was responsible for the restaurant and bar operation. At the helm of the wine programme is Head Sommelier Sam Heathcote who joins the team from the Bulgari Hotel and previously The Clove Club and Alain Ducasse’s 3 Michelin star restaurant at the Dorchester hotel. Fabio Spinetti joins as the new Bars & Beverage Manager from the Connaught, and will look after the wider beverage offering across all of Hotel Café Royal’s outlets.